Köln Germany is known for many things: its music scene, the Roman influence, the Dom Cathedral, and its famous Eau de Cologne 4711. 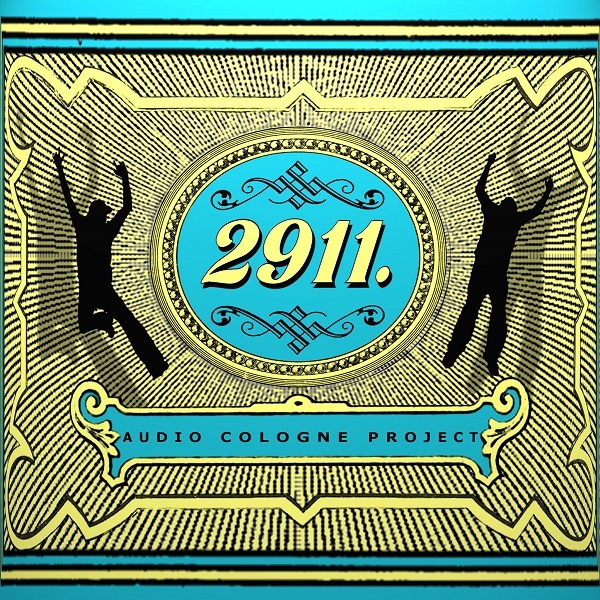 Uwe Cremer’s (aka Level ∏) and Dave Pearson’s (aka computerchemist) new Audio Cologne Project is a musical double entendre. And the cover art completes it with its pseudo-4711 label. Those of you familiar with 4711 know how refreshing this cologne water is and that carries over to the music. There are two guys jumping for joy on the cover because they are refreshed and excited about the music! And rightly so. From the very first chord, Uwe and Dave kick into high gear some of the best instrumental Krautrock you will hear since its heyday in the 70s. The first track is the nearly 19-minute “Chemist’s Bike” that alternates between powerful guitar solos and quite interludes interspersed with sequencers, Mellotron, and drums. It has a definite retro 70s/80s vibe and never gets tired or worn out. The next track is “Crazy Bongos” that opens with piano and quietly builds to a crazy synth voice spelling the song title. The third track is “Spieluhr” or music box, which is how this 20-minute track opens. There is a Tangerine Dream post-Phaedra influence running throughout complimenting the mid-Eastern and Persian themes. The fourth track is “Grobmotorik” that is a modern acoustic nod to Klaus Dinger, Neu!, and La Dusseldorf. “Mind the Gap” is another long track clocking in at about 18 minutes that starts out slow and quiet and evolves into some excellent jazz fusion, but it is a bit too long to sustain interest. The final track “Akustisch” is what you would get if you grafted The Gypsy Kings to Krautrock. Uwe purely and simply outdoes himself on Spanish guitar! So slap on some 2911 and pamper yourself for the next 70 minutes.